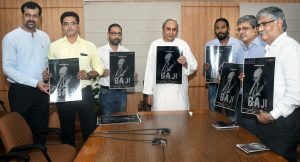 Bhubaneswar12/10/18:: Chief Minister Naveen Patnaik attended the premiere of short film Baji -the Immortal Boat Boy, at the secretariat here on Thursday. The 25-minute film presents the courage, valour and patriotism of 11-year-old Baji Rout, the youngest Indian martyr freedom fighter from Odisha. 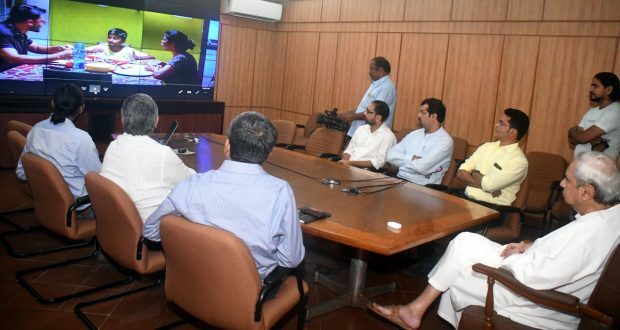 The CM asked officials to exhibit the short films in schools across the state to create a sense of patriotism in the minds of students and help them understand the importance of freedom struggle. The CM also congratulated the producer of the film, Satyabrat Rath, and director Chinmay Das. The CM released the poster of the short film on the occasion. The short film on the inspiring life of this young child from a remote village in Odisha was directed by Chinmay Das, a young filmmaker. Baji Rout, the 11-year-old boat boy was killed by British police when he denied ferrying them across the Brahmani River on the night of 11 October 1938 at Nilakanthapur Ghat, Bhuban, Dhenkanal district. Baji Rout was the youngest son of a boatman on the Brahmani river.